technical and scientific international associations in Europe. qualified as FULL HD, defined as a horizontal image containing 1,080 lines of definition. delivers the clearest affirmation to date of the validity of LG’s FPR technology. 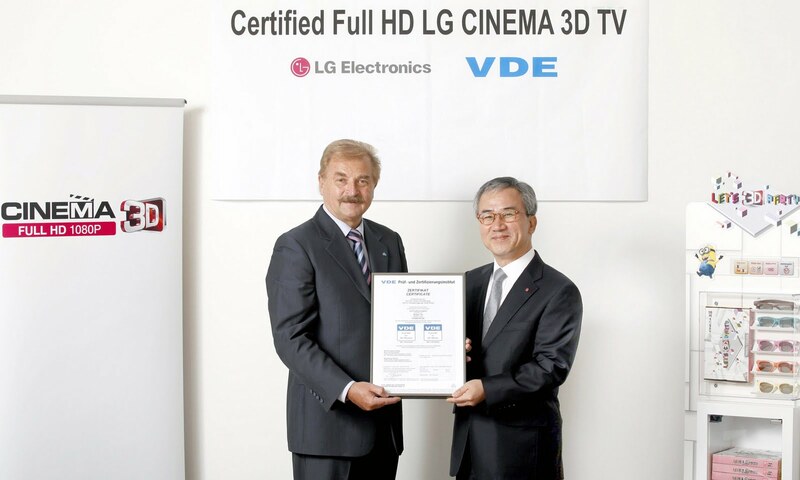 TVs “Flicker-Free” certification, providing official backing for LG’s sharp 3D images. angle, 3D glasses and bright images. Wilfried Jäger, Managing Director, VDE Institute.